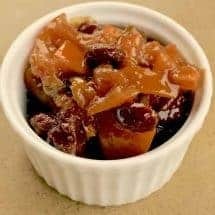 Instant Pot Meyer Lemon Chutney packs a ton of flavor into a delicious recipe everyone will enjoy! You know you may have a problem when you buy something even when you have no idea how to cook it. Case in point: I’d read so much about Meyer lemons that when I was at the grocery store and I saw a bag, I was so excited to buy them. Until I came home and realized I had no idea what to do with them. 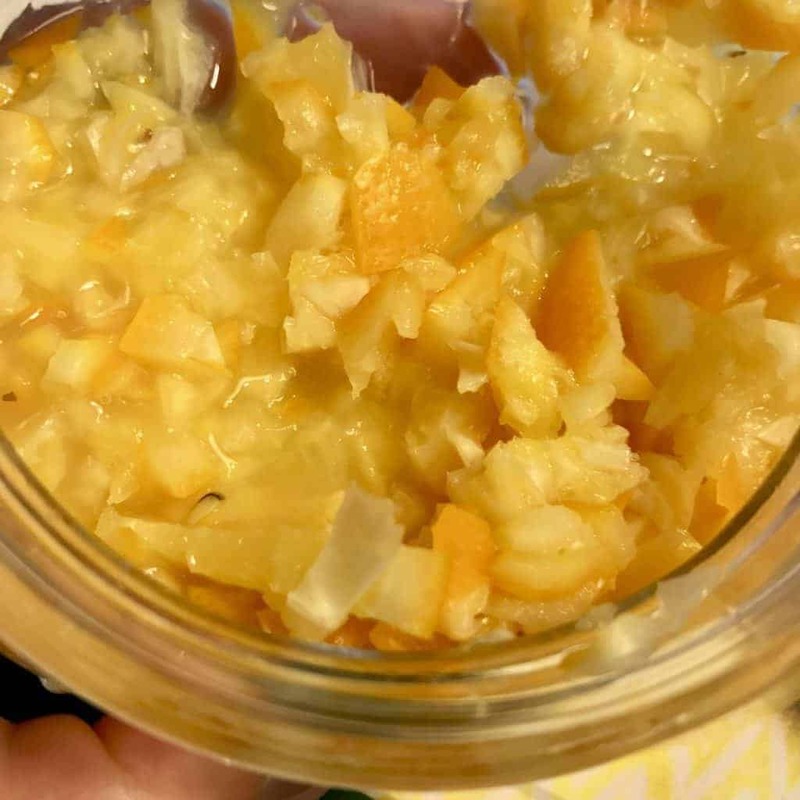 So I googled and one thing that I made with one lemon that I really liked was Mark Bittman’s Instant Preserve (1 chopped lemon, rind and all, 2 teaspoons sugar, 1 teaspoon salt, let it sit for at least 30 mins was what I used to try it out). Totally yummy, fresh and would go well as a side with chicken. It’s not really preserved but it will last for a bit and it does get better with time. I’m trying hard not to eat this with a spoon, it’s really that good. Let me issue a warning first. The last time I canned anything was 25 years ago. I know nothing about canning and preserving anymore. If I were you, I’d just assume this chutney needs refrigeration and not leave it out. Also, I’d forgotten the very first taste I took reminded me that preserving intensifies tastes so go easy on the cayenne pepper in this dish. Mine is prob too hot so I’ve reduced the quantities below. I don’t know how this will work in an Instant Pot because you want it to be thick, but you could try pressure cooking and then sautéeing with the lid off until it’s thick. Once you get a feel for the flavors in it, you could combine it into other cooked dishes such as chicken with a creamy sauce. Put all ingredients into a slow cooker turned on high and cook for 4 hours. Remove lid, stir and taste, adjust any spices, and let it cook for another hour with the lid off so it thickens. Pour into jars and refrigerate. This made about 1.5 or 2 cups for me. A serving of this is about 1-2 teaspoons so it won't have that much sugar in each serving since 1 cup has about 48 teaspoons in it. I just bought some Meyer lemons to make this recipe. I noticed two differences between the recipe shown above and the recipe in the book (other than using slow cooker versus Instant pot). The book includes 1/2 small onion, diced (the recipe above does not). The recipe above includes 1/2 teaspoon ground coriander (the book does not). Do you have any preference as to the “best” version? This has a wonderful, complex flavour – the mixtures of sweet, sour, tart and spicy all blend together to create something terrific I tried it with Bela Rosta ham, and it was perfect. I now intend to put in on crackers for a wonderful snack/appetizer. I tried this in IP as the book says – 15 mins on High pressure, after 10 mins manual release. Did you use Meyer lemons? It doesn’t work with regular lemons as I said in the post. The other explanation could be that what I think are meyer lemons are not really meyer lemons – although my gardener swears by it. I will try the same experiment with store bought meyer lemons. How much does ths recipe make in terms of pts or cups? Hmm. It’s been a while but I think it’s about a cup and a half or so?